The Minnesota State System is firmly committed to respecting the privacy of all website visitors to the extent permitted by state and federal laws, including the Minnesota Government Data Practices Act, Minn. Stat. Ch. 13. 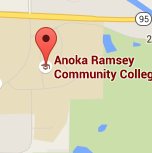 This Privacy Statement of Anoka-Ramsey Community College is intended to explain the ways in which we collect information, the way we will use the information collected, and the protections we will provide the information you choose to give to us. 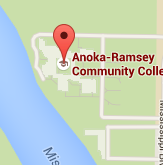 The Minnesota State College and Universities system makes no representations or warranties, express or implied, with respect to the use of or reliance on the data provided on this web site, regardless of its format or means of transmission. There are no guarantees or representations to the user as to the accuracy, currency, completeness, suitability, or reliability of this data for any purpose. The user accepts the data “as is” and assumes all risks associated with its use. MnSCU assumes no responsibility for actual, consequential, incidental, special, or exemplary damages resulting from, caused, by, or associated with any user’s reliance on or use of this web site, even if appraised of the likelihood of such damages occurring. If you have further questions about this site, its collection of information, and its online privacy statement, please contact our IT Help Desk.